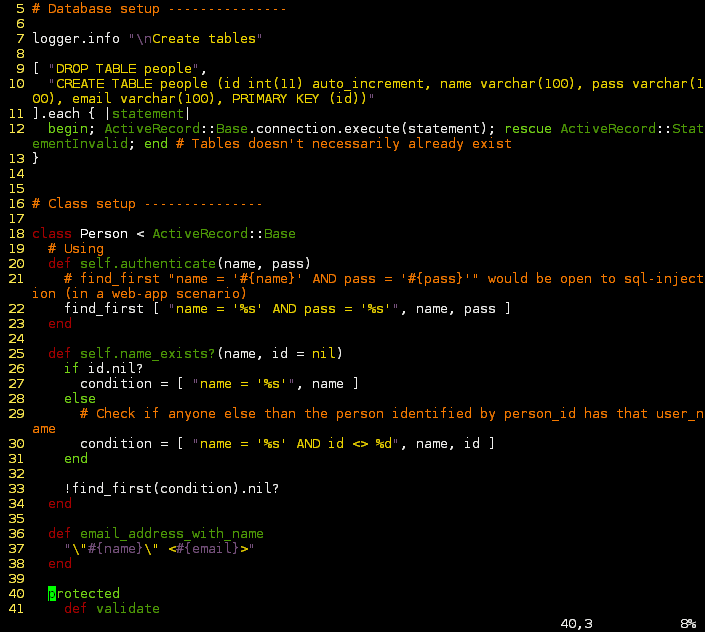 For some time I was looking for a color theme for a famous Windows SSH client PuTTY, that would be readable. The problem with the default color theme is, that some colors are too intensive, so they are hard to read on some displays. I decided to change the colors and for the template I took the color palette from the Tango Desktop Project. I also added some good looking monospace fonts – Bitstream Vera Sans. I am rather pleased with the result and now want to share it with you. For better preview I’ve done some screenshots. 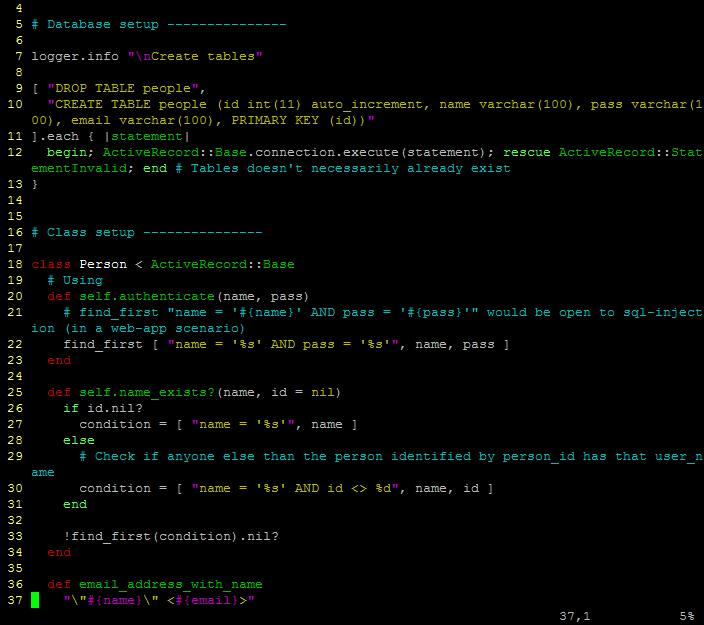 I captured ruby on rails validation example, opened in VIM via PuTTY (SSH) on my development server. Download the PuTTY tango colors theme. It is a registry file, which describes a session named “Tango Theme” + directory with four fonts. Everything is packed with 7zip. And at the end one little advice: if one puts PuTTY Tango Theme with VIM Tango theme, which can be found on Michele Campeotto blog together, one can get really good Tango experience.